Shade thrown. 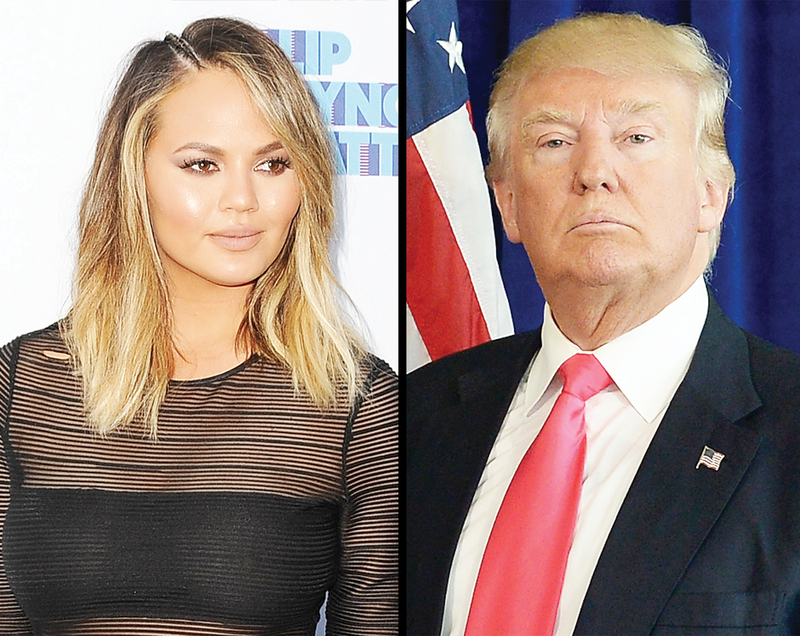 Chrissy Teigen likened Donald Trump to American Psycho character Patrick Bateman in a tweet on Friday, August 26. “Watching a cool Donald Trump biopic on the plane,” she captioned a photo of a screen with the movie’s title displayed across the bottom. From the picture, it appeared as though Teigen, 30, was not yet 10 minutes into the film. Teigen’s fans instantly recognized her reference and responded with their own slew of witty comments. I thought Paul Allen's was best tbh and he can get a table at Dorsia. I need to return some video tapes…. Teigen’s husband, John Legend, has been outspoken about his distaste for the Republican presidential candidate in the past, calling Trump “racist” in March after the real estate mogul’s son criticized protesters who shut down his father’s Chicago rally.